.Visit the cities of Osaka, Kyoto, Takayama, Shirakawa-go, Kanazawa and take the Bullet train to Tokyo. Some of the activities that we will participate in include visiting the Golden Pavilion, Kiyomizu Temple, Fushimi Inari Shrine, a Manga Museum, travel to the Japanese Alps, discover how gold-leaf is created and make your own gold leaf chopsticks to take home, an evening of Karaoke, participate in a Japanese tea ceremony and MUCH more. ​Open to students 6th grade and up as well as parents. 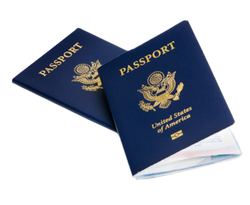 If you do not have a passport apply as soon as possible. You need a Passport Book, you cannot use the Passport Card to fly to Japan.